SAINT AUGUSTINE – There’s still time to purchase a ticket to win a unique doll created by the Easter Festival Committee to help fund this year’s week-long festival. 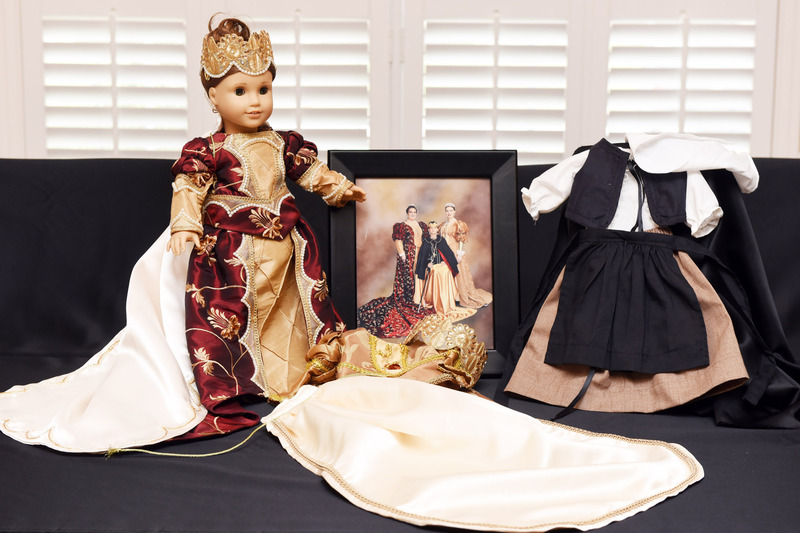 Drawing for the doll, which has three period outfits created by Royal Family dressmaker Joan Taylor, will be conducted March 3 during this year’s Menorcan Cultural Society Heritage Celebration. That event continues from 11 a.m. to 2 p.m. at the Llambias House, 31 St. Francis St. The Easter Festival spotlights heritage natives who portray the ruling family in Spain in 1672, the year construction was begun on St. Augustine’s fort, Castillo de San Marcos. The royalty includes Queen Mariana, Princess Margarita Maria and King Carlos. The outfits for this unique doll include copies of the 2017 royal wear of the queen and princess, as well as a Menorcan period outfit. The Menorcans, who came to St. Augustine in the late 1700s, were part of a group who first settled in New Smyrna. This year marks the 250th anniversary of the Menorcans’ arrival in Florida. Tickets are available by calling Taylor at 904-669-8713. This year’s Menorcan Heritage Festival includes appearances by a variety of authors – Ann Browning Masters and Beth Bowan among them; mullet net knitting demonstrated by Mike Usina; and food of all kinds including the tasty pilau (pronounced per-low) and Menorcan Clam Chowder, as well as popular foods like hot dogs for the kids. Datil pepper plants, along with datil pepper jelly, hot sauce and mustard sauce will be available for purchase, and there will also be the usual T-shirts and other mementoes. Entertainment is always a big draw for this popular festival, and for those with a sweet tooth desserts will be offered for sale. Speakers will fascinate the crowd with tales of the past and a variety of Menorcan memorabilia will be on display.